If you think about donating because of the sleek website, feel free to check out the original though. The contributors there did most of the work! To choose a representative you trust I think it is most important that you trust the person who is running the node. Because of that I want to give you some personal information about me. My name is Nico Fricke and I am currently living in Lübeck/Germany. I am into Nano since early December 2017. In the Nano Discord I am mainly around in the #support channel where you might have seen me. I am 22 years old and I work as a Software Developer in a middle sized company. You can find me on Reddit, Twitter, Steam, Telegram, Matrix (@nif:nifni.net) and Discord (NiF#3422). Why do I run this node? I like hosting stuff. It is fun for me to setup something like this and keep it running as stable as possible. Also I like Nano. The tech behind it is so simple but also so awesome (check nano.org for more information on the tech). One problem that still exists is that there are only a small number of representatives which have most of the voting power. To change this I setup this node. And to make it easier for people to trust me with their voting power I give as much transparency as possible. So if you have any question remaining unanswered don't hesitate to contact me on any of the accounts mentioned in the about me section. How do I keep sure the node is running 24/7? This node is hosted on a root-server by Netcup. Netcup is a german hosting provider with which I never had any problems. Downtimes outside of scheduled security patches never happened. The scheduled downtimes were always communicated accordingly and took only some minutes until everything was up again. The underlying OS is a headless Ubuntu 16.04 which has been stable for me on many different servers and VMs. The hardware specification of this server is 2 dedicated CPU cores, 6GB RAM and a 40 GB SSD. There are checks running which will notify me the moment the node goes offline or is not reachable for any reason. I will always keep the node software updated as soon as there is a new release in place. If you want to rent anything from netcup feel free to contact me. I can give you referral keys which give you up to 30% discount while I get 10% of everything you pay to netcup. So it would be a great deal for both of us :P.
Why should you use me as your representative? In the chapter above I described how I will make sure the node is running 24/7. Also I wrote a bit about me so that you know who I am and when checking my social network sites you can make sure that I am really who I claim I am. And last but not least I offer a e-mail list you can subscribe to. I will write about any updates concerning my node (don't worry I won't spam you). 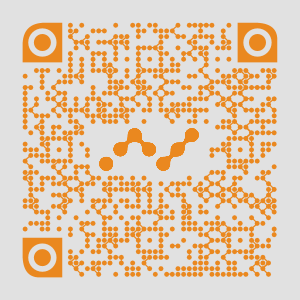 To subscribe just write an e-mail to nano@nifni.net from the e-mail you want to subscribe with. You can always unsubscribe by just writing me that you want to unsubscribe.